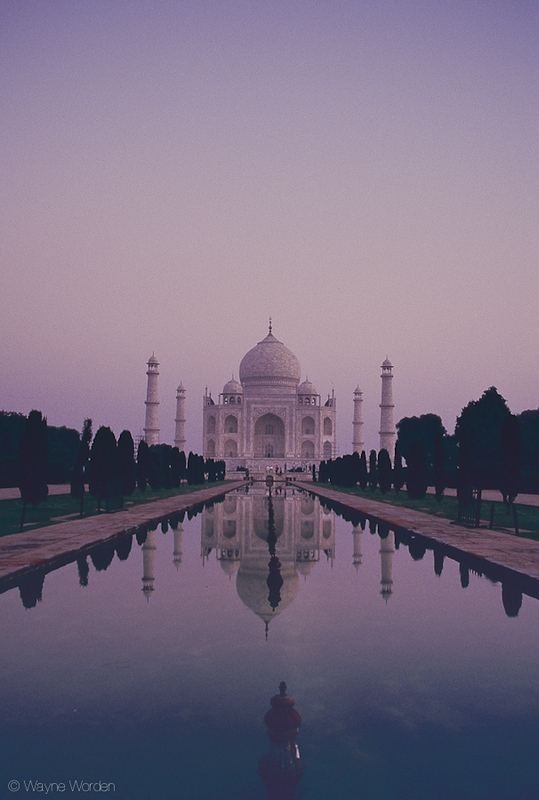 Everyone visiting Agra takes some version of this shot, and makes a better job of it. I don't know what it's like to visit the Taj Mahal now. But, in 1986, getting up before the sun allowed me to avoid the crowds. If you look closely you can see scaffolding, the bane of photographers everywhere. A really beautiful shot. The color is amazing and not because the fixation of the color is fade by age I assume. You lucky guy! I love it. I think you did a fine job and before sunrise was quite impressive!